Celebrate at your Snowman or Frozen party with this Olaf the Snowman party favor. 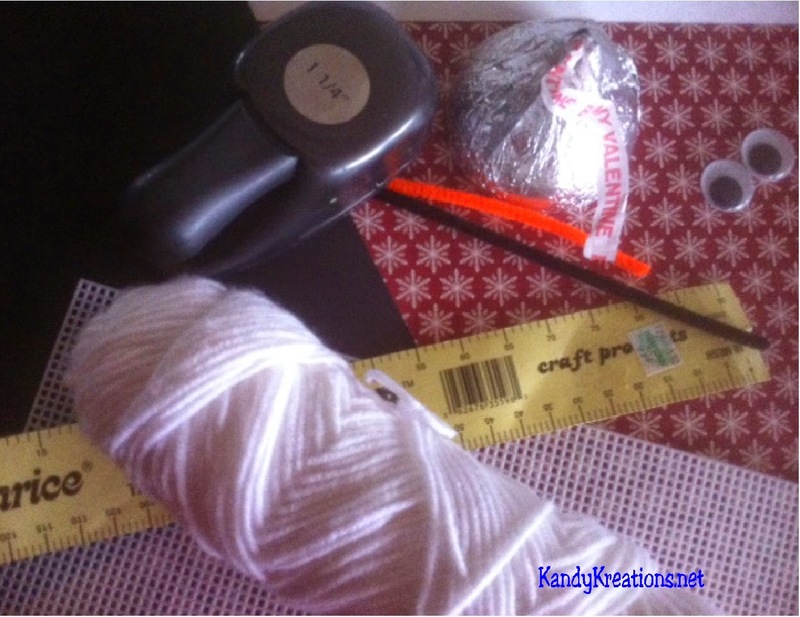 Make a simple and quick plastic canvas kiss holder for a large Hershey Kiss and give warm hugs and kisses at your next party. I wanted to find something fun to give to my guests as a party favor after all the sledding and snow fun at my sledding party. And while I'm already going to be offering some sweet treats and Olaf the Snowman kisses on my dessert table, I saw those really large Hershey kisses at Walmart and thought they would be a lot of fun to add to my party. 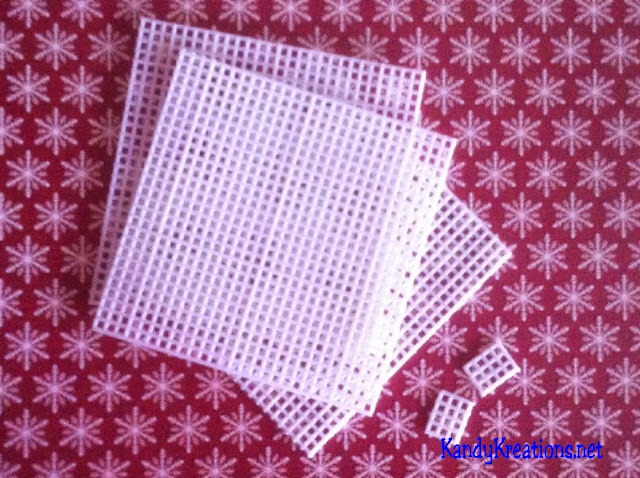 Start by cutting three pieces of 27 by 27 hole squares of the white plastic canvas. Also cut two smaller 3 by 4 square rectangles. Using one 27x27 hole square, overcast two of the edges that are next to each other. 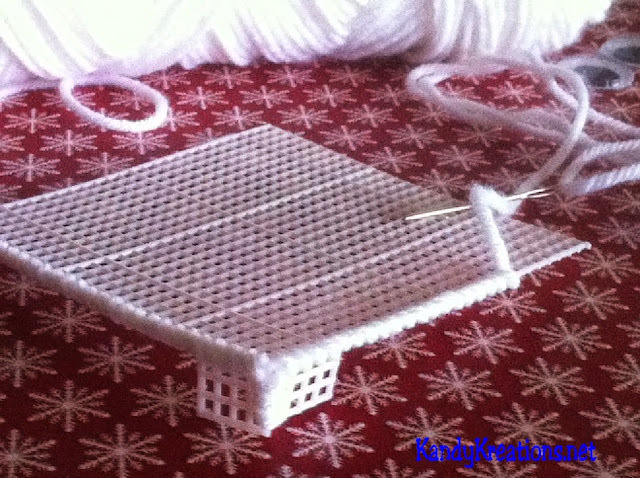 At the corner that meets, add one of each of the 3x4 hole rectangles on each side of the square. This forms Olaf's teeth and top lip. Add a second square to the bottom of the upper lip (square with teeth.) Overcast and join the last two edges on the upper lip square. 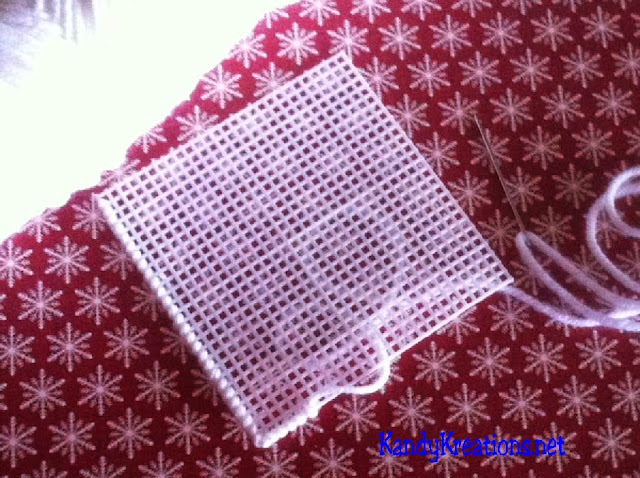 This joins the two squares and makes the back of Olaf's head. 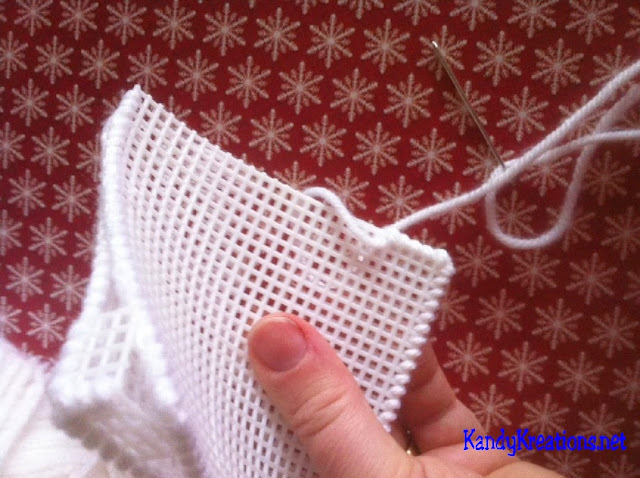 Using the last square, over cast two of the edges like you did on the upper lip (but without the teeth.) This is the bottom lip of Olaf's mouth. Here comes the tricky part (not hard, just a little tricky.) Add the bottom lip to the back of Olaf's head. I found it was easiest to add them back to back and sew just one side. 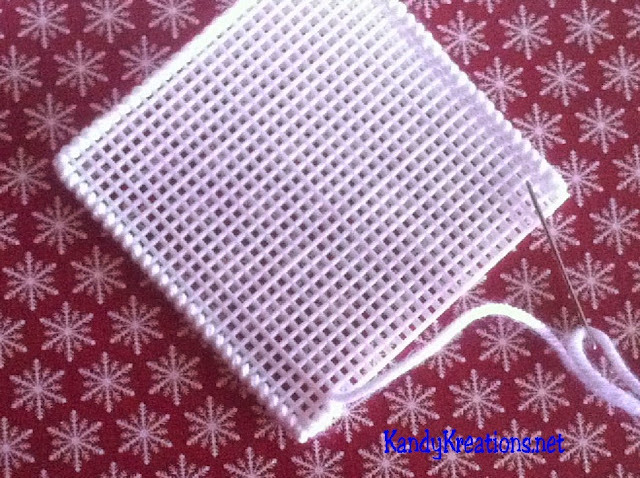 Once that side is joined, flip the bottom lip over so it's against the upper lip and joins the Plastic Canvas into a diamond shape. 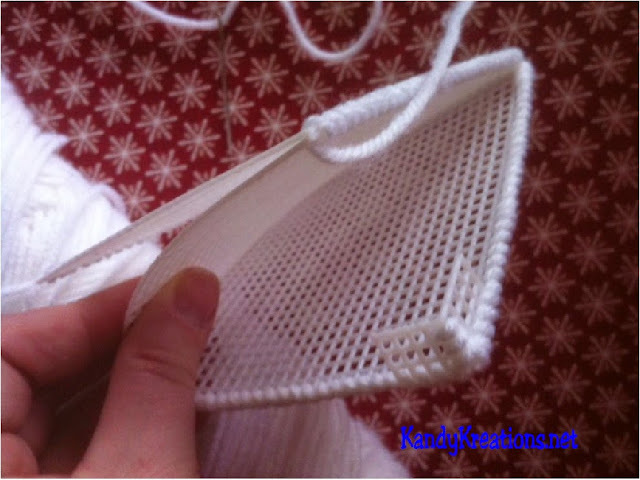 Sew the last two sides together. To make Olaf's face, you'll need to cut two 1.25 inch circles out of black card stock. 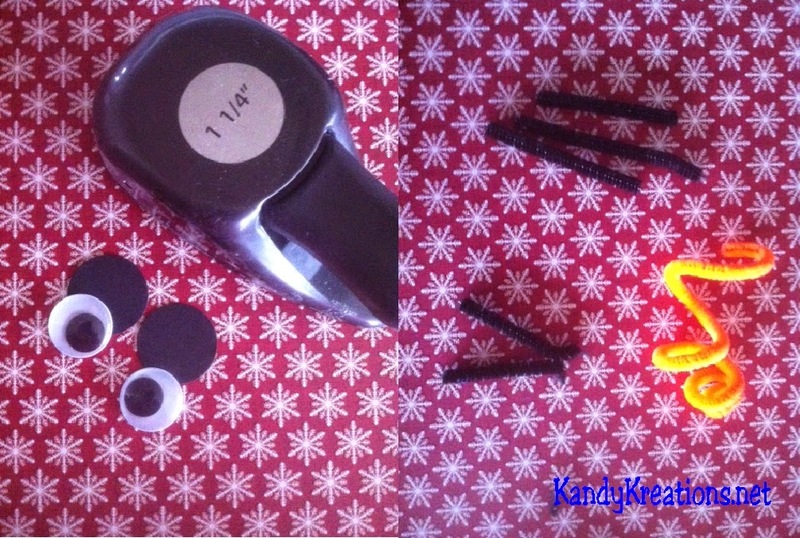 Glue the 1 inch googlie eyes to the center of each black card stock circle. Using the black pipe cleaner, cut five lengths of pipe. Three of the pieces can be various lengths to use for Olaf's hair, while the other two pieces should be the same size for Olaf's eyebrows. The orange pipe cleaner can be wrapped around a large marker to create a swirl for the carrot nose. 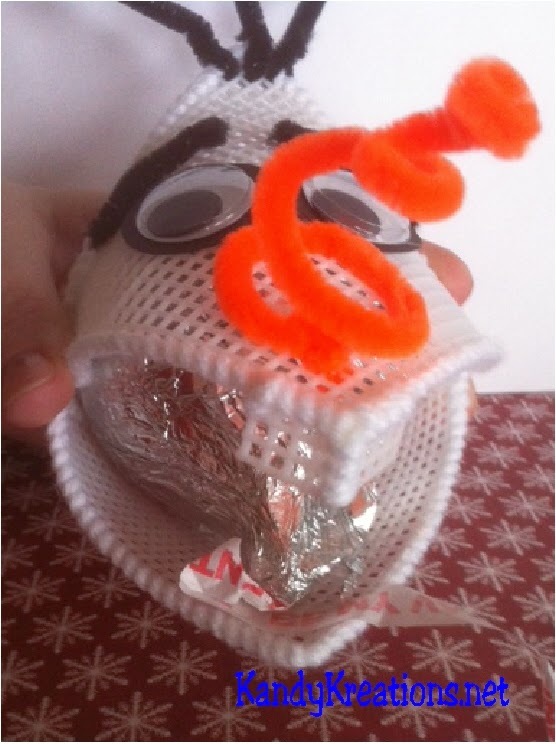 To make Olaf's face, thread the three pieces of various length pipe cleaner through the holes at the top point of Olaf's head (the upper lip piece with the teeth.) Wrap the back piece around the pipe cleaner to secure them onto Olaf's head. 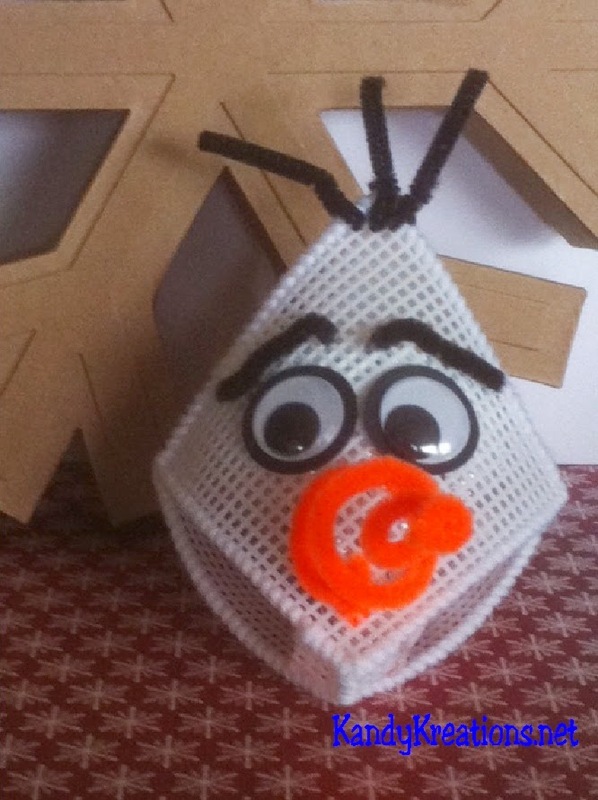 Glue the bottom layer of the orange spiral on to the bottom area of Olaf's upper lip to create the carrot nose. Allow the orange pipe cleaner to spiral up and out. Lastly, glue the googlie eyes and pipe cleaners for Olaf's eyes and eyebrows. Squeeze on both sides of Olaf's cheeks to insert the Giant 7 ounce Hershey's Kiss Milk Chocolate Candy. * It works best if the flat part is against the back of Olaf's head. 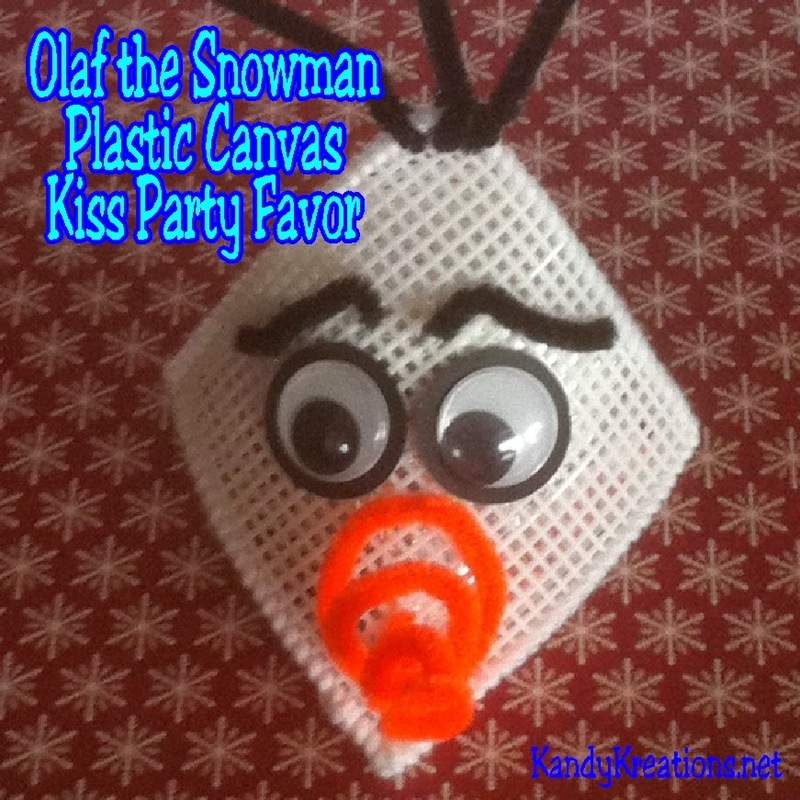 Now you have a super cute Party Favor for your Olaf the Snowman using this Plastic canvas kiss pattern.